When you spot asbestos flooring or coatings on your property, your first thought may be to start looking for a professional contractor to get rid of it. This can be expensive and time consuming. With Perfect Primer, you have an alternative solution. There’s not much to using Perfect Primer. You only need to put one coat the first day and then coat over it with your choice of epoxy, decorative cement or any other coating the next day. That’s it. You’re done. 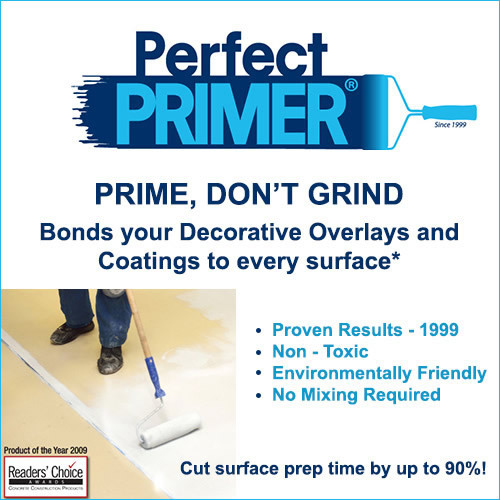 The prep time when using Perfect Primer is significantly shorter than with methods that require asbestos removal. There’s no grinding, no messy or expensive surface prep, and no complex mixing formulas. You’ll be ready to go in a matter of minutes. There’s no grinding, no demolition, no big clean up, and therefore no dust. Perfect Primer reduces the chances of being exposed to asbestos dust. Perfect Primer is simple to use. You simply follow the instructions and you’re good to go. No special training required. Anyone can use this Do-it-yourself alternative solution Perfect Primer.